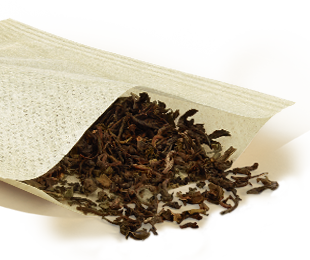 The classic Cilia® Tea Filter: The Tea Filter M is suitable for use with or without a Tea Filter Holder. It is clean and easy to use and is just the right size to make a pot of tea. Enjoy your tea moments. Pamper your tea with Cilia® Tea Filters: Thanks to the special Aromagic® paper structure the full flavour of your tea can unfold. For very personal tea moments - because the finest tea indulgence starts with the preparation. Cilia® Tea Filter M are suitable for all kinds of loose tea and can be used with or without a Tea Filter Holder. To protect the environment: For our special filter paper we use among other things natural fibres from fast growing renewable resources. Filters made in this way are unbleached and can be disposed of in the compost. Discover the world of tea indulgence! Find out more about the ideal use of your Cilia® tea filter.